The Dalriada Project was established in 2006 following a successful bid to the Heritage Lottery Fund. 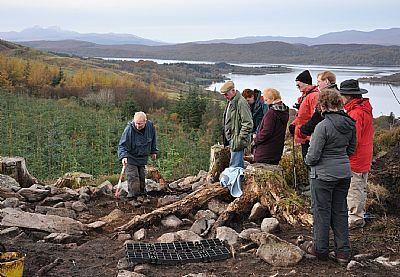 The project was a Landscape Partnership Scheme and has been funded by the Heritage Lottery Fund and a range of other partners including Forestry Commission Scotland, Scottish Natural Heritage, Argyll and Bute Council, Argyll and the Islands LEADER and Argyll and the Islands Enterprise. 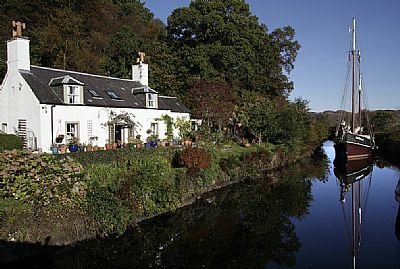 The project area covers 296km2 of Mid Argyll that includes, North Knapdale, Kilmartin Glen as far north as Carnassarie Castle, the Crinan Canal Corridor and Kilmichael Glassary. 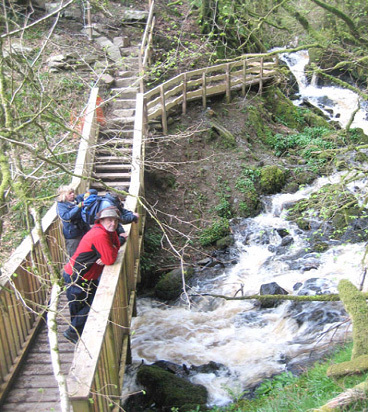 We were involved in a wide range of project activity to enhance the natural and cultural heritage andpromote the enjoyment of the Dalriada area. We had funding for up to £3.1 million and there were 10 projects in all. The project was completed in 2010. 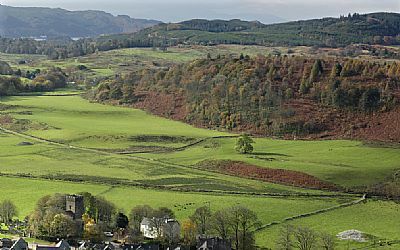 “Enhancing people’s access and understanding of the outstanding natural and cultural heritage of mid Argyll through a unique network of routes, sites and interpretation points”. 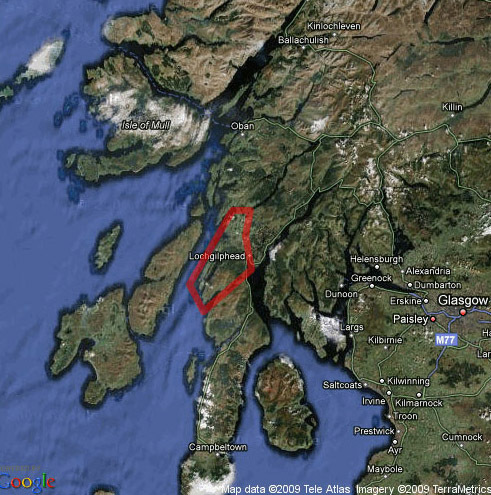 The Dalriada Project implementation ended in 2010 but the project legacy is mainted by the project partners. 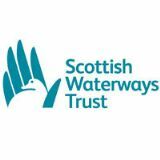 These are: Forestry Commission Scotland; Kilmartin House Museum; Scottish Natural Heritage; Argyll and Bute Council; Scottish Canals and Scottish Waterways Trust. A board oversaw the legacy and maintenance until October 2017. In October 2017 assets and obligations for maintenance on private land were also transferred to Blarbuie Woodland Enterprise. The Dalriada Project also had a Company Secretary - Will Self. The Dalriada Project co-ordinated and delivered 10 projects that enhanced the natural and cultural heritage of the area and promoted the enjoyment of our outstanding heritage assets. These projects are interrelated and are grouped under three programmes. They have delivered significant benefits at a landscape scale and provide a lasting legacy of the Dalriada Project. Download a summary of the final report. Download a full version of the report. The following provides a general summary. Esmee Fairbairn Foundation to fund some of these projects. There are some exciting outputs from the Community History project including some innovative work from the schools programme such as the stained glass window at the Mid Argyll Hospital. By conducting interviews for an oral history archive Volunteers have helped us create an archive by conducting interviews with local residents. The Consolidation of Key Features Project has undertaken some consolidation work to safeguard archaeological remains throughout the area such as the abandoned settlement at Kilmory Oib. 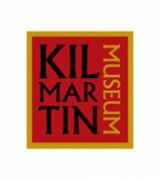 It is this programme that draws all our work together by promoting access to and understanding of our heritage assets. The Heritage Access Network has created a network of footpaths to access some of our best heritage sites. The Interpretation and Information Project has developed innovative audio visual material including a series of podcast guides to walks. 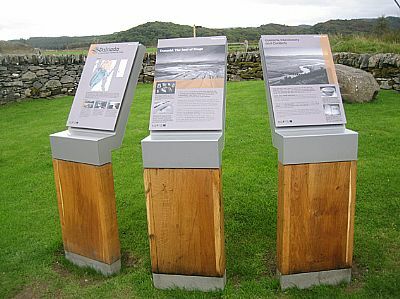 76 new information panels have been produced along with a new series of leaflets. A tourism marketing group, The Heart of Argyll Tourism Alliance has been created. It has quickly become a thriving and award winning legacy of the Dalriada Project promoting this wonderful part of Argyll.